There is a black, white and rainbow set and my favourite is definitely the rainbow so Emma knows me well! I have put a photo of my Caviar manicure accent finger, it doesn't take long at all but I didn't have time to do them all and allow them all to completely dry! I love it, I think it looks unusual and unique. 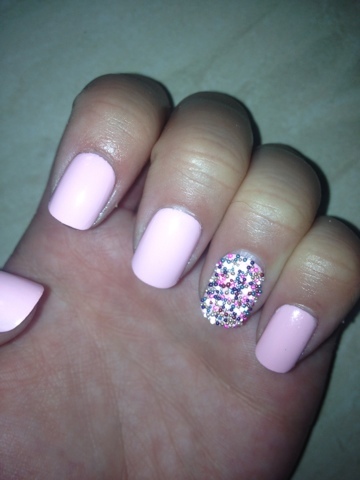 Next time I'll make sure my whole nail is covered in beads as there are a couple of small gaps this time round. Practice makes perfect. I also went on a bit of a splurge at Warehouse with my staff discount. 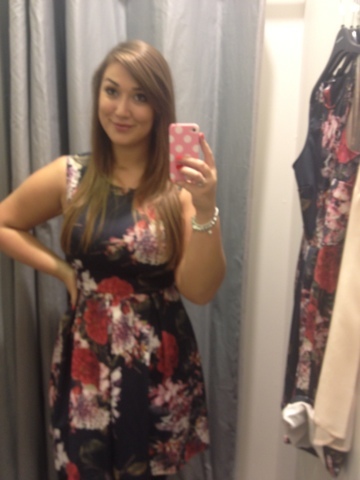 I bought this dress, a sleeveless silk shirt and some nice thick treggings for Winter as I live in them...I love floral dresses and this is no exception. This one is particularly good for this time of year because it is still feminine but the florals are a bit more wintery. I have been seeing loads of winter floral articles in magazines lately so I think they will be everywhere soon. 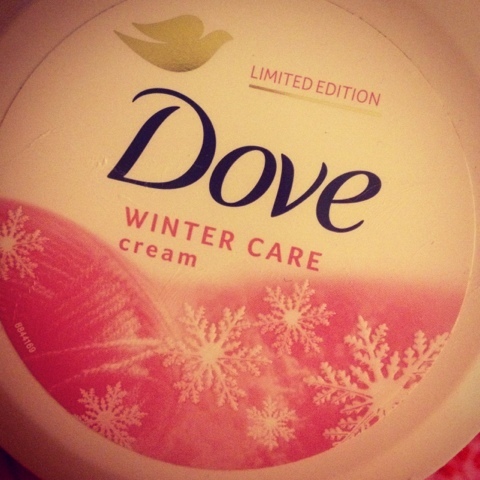 I saw this in Boots and it was on offer as there is 1/3 off Dove body care. I am a total sucker for 'Limited Edition' products so I snapped it up, it smells delicious and I figured I should accept the fact that Summer is coming to an end and that I should start moisturising in preparation for Winter. I definitely get dryer skin in Winter so I'm sure this will be a staple in my skincare routine during the colder months. 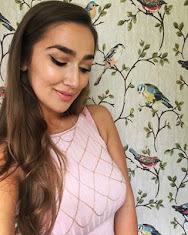 I love finding new products, are there any new things you have bought recently that you love or can recommend? 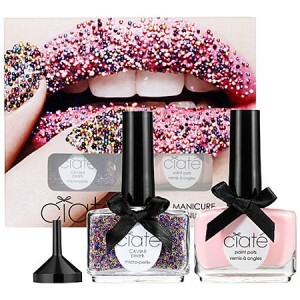 I really want to get my hands on Ciate caviar manicure set, it looks so gorgeous on the nails!